Everything you need for your big day, all under one roof. As anyone who has ever been involved in planning a wedding will know, the process can be somewhat stressful – there’s so much choice out there that it can be difficult to narrow down exactly what you want, and investigating the widest range of products and services means travelling back and forth across the region and perhaps beyond. However, busy brides- and grooms-to-be can now view a vast array of wedding paraphenalia all under one roof, with the opening of Wedding World UK in Barnt Green. Launched as the UK’s only one-stop wedding shop, the concept allows couples access not only to wedding essentials like bridal gowns, men’s suit hire and accessories, but also specialised products and services such as wedding rings, car hire and catering. The company prides itself on offering every wedding service imaginable, offering the convenience of being able to plan and purchase all aspects of the big day under one roof – thus saving valuable time and money and reducing pre-wedding stress levels. Debbie knows the importance of providing high quality products, and has chosen 15 leading wedding service providers as partners. “The suppliers have been carefully researched and chosen for their expertise, reliability and desire to provide the same excellence of service as Wedding World UK,” says Debbie. 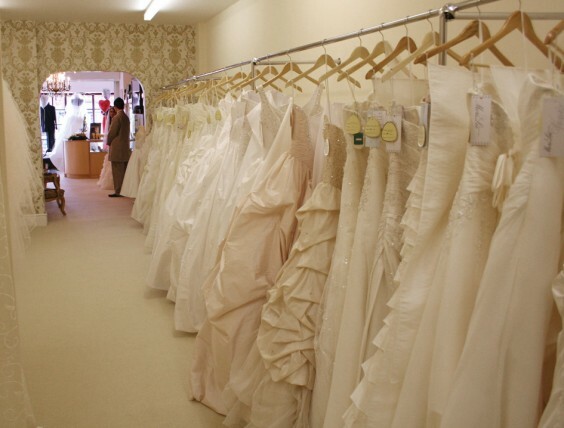 Brides visiting the Hewell Road shop will be able to view and try on the latest gowns from top designers such as Pronovias, Dizzie Lizzie Couture, Sophia Tolli and Mori-Lee, with something to suit every taste and budget. Accessories include shoes by Pink and Benjamin Adams, plus tiaras and jewellery by Ellie K, Liza Designs and Linzi Jay. Wedding World UK can even organise elements such as entertainment, marquee hire and honeymoon arrangements, and there’s a free wedding planning service in-store for those who wish to place their nuptials in the hands of true professionals. The shop also incorporates Promworld, with one of the largest selections of prom dresses in the Midlands to ensure that every girl looks her absolute best for the big night. Boys’ prom suits and accessories are also available, and Promworld can even organise limo hire.